Have you guys been enjoying the Categories update? If you missed that announcement last week, learn more about the new Categories and Discover experience here. This week, we’re announcing the Fresh 18 selected artists, an interview with the talented @maalavidaa, and some quality giveaways. Oh, and keep reading to get a refresher on all the Artist Invites currently open. @pierre-fudaryli, @cytone, @jonathanswecker, @elfelo, @andres_marti, @kristynaarcher, @mtr68, @son_of_the_mourning, @shotbysok, @cattina_elettroshock, @jimmi-ho, @turningyellow, @mohitvijh, @salvatorematarazzo, @isalabam, @cvatik, @eransome, @f-estival, @josh_tep, @surajnong, @muehlbacher, @kainmario, @efr0n, @chaseburnett, @alaskapalms, @harauldsextus, @jannishagels, @thedotisblack, @syddharth, @benjamin-savignac, @nicoletomazi, @nineassociati, @studiocorelam, @rdetiger, @ericrandall, @timsandwick, @carolconnett, @saintkerosene, @jeffbessart, @hallidonto, @metrov, @rielle-oasem, @romangomes, @jodymattioli, @alexesteve, @adriannafavero, @andreakphotography, @franciswillmann, @adrianoink, @tescum, @elenakulikova, @ginebrasiddal, @danielhernandez, @malcolmcrowther, @dannyivan, @aeforia, @flxrothschild, @pleid, @juanbar, @assiah, @fikradesigns, @shaywilliams and @jasonebeyer. 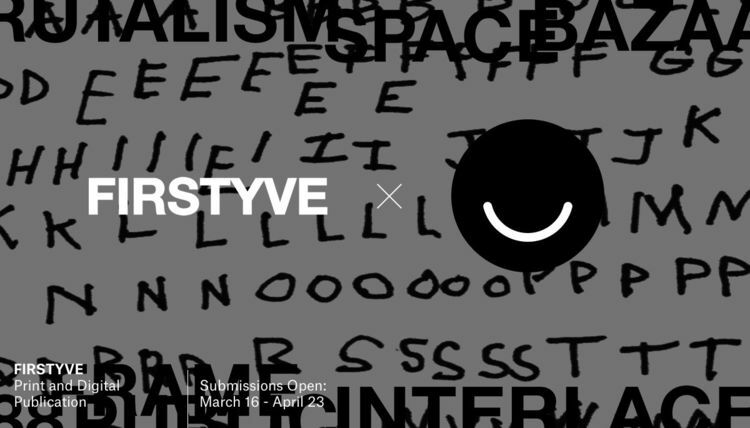 “Creators First” is Ello’s Northstar. As we advance the revenue side of our business and continue improving our Artist Invites product we have looked to public radio to develop a sustainable sponsorship model, where values-aligned brands can support Ello features, experiences and programming. Our new sponsorship model encourages brands to become patrons of the arts, further enabling us to execute our mission. Our overarching goal with sponsorship is to empower our partners to engage with and support our community in meaningful, valuable ways. 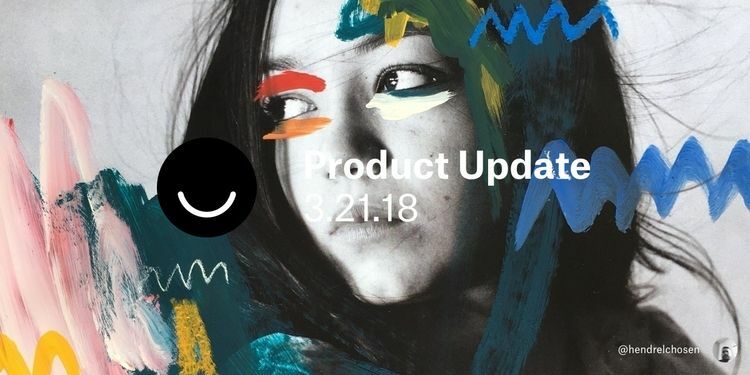 Sponsorship will help us continue to develop and grow some of your favorite experiences like Ello Artist Interviews, Ello Art Giveaways and Ello’s print publishing arm while empowering us to realize new experiences and opportunities. We are excited to introduce Squarespace, our first brand patron who for the next two weeks is generously supporting Ello’s Artist Interviews and Art Giveaways. We hope you continue to enjoy these experiences and we look forward to your feedback. Inspired to create your own website? Get 10% off a your first purchase of a website or domain with the code ELLO at squarespace.com. Alycia Rainaud (@maalavidaa) is a graphic designer based in Marseille. Her influences (and passions) include publishing design, hybrid books, new technologies, programming, digital art, and visual effects and experiments. Read on to learn about her creative process and how she got into digital art in the first place. Pssst: Enter now and you could win a print of @maalavidaa's piece "Stuck On The Puzzle." Just leave a comment on this post. Submit your work to be featured in the premier issue of FIRSTYVE Magazine. FIRSTYVE is a new publication for young creatives. FIRSTYVE serves as a way to discover new talent, thoughts, and ideas, as well as serving as an outlet for you to have your own work shown. The magazine will feature in-depth profiles on emerging artists and explore different ideas in the world of architecture and design. Under Lucky Stars makes beautiful star maps showing the alignment of the stars in a place and time chosen by you. In the first phase, artists will be chosen based on their submitted portfolio to participate in the second phase and will be contacted by the Under Lucky Stars team with a style guide and design specifications. 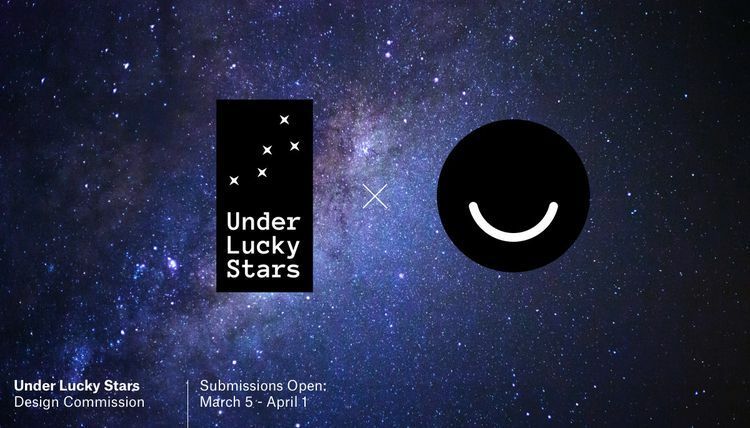 In the second phase selected artists will work with the Under Lucky Stars team to design a new star map for the opportunity to be the final selected artist and receive a total of $5,000. Two runners-up will receive $1,000. Submit your work for the opportunity to help create a custom cycling apparel collection with Pactimo and receive a 20% commission on sales of the garments you design. While often imitated, the Pactimo Artist Series™ was the first of its kind, launched in early 2010 as a way for cyclists to proclaim their individuality and share the beauty of art on roads and trails around the world through artist-designed and -inspired cycling clothing. 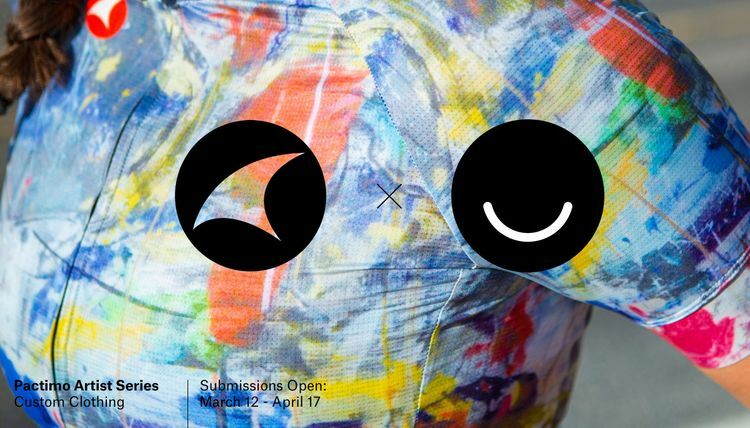 In partnership with Ello, Pactimo hopes to extend the Artist Series invite to a broad spectrum of artists, regardless of medium, through their ability to translate digital and physical art into unique, vibrant pieces of cycling apparel. Pactimo’s advanced printing also allows artists to boldly express their work in rich color and fine detail. • Each Artist will have a featured profile located on our website, in addition to regular features in our weekly email (90k+ subscribers), and social media posts across Facebook, Instagram and Twitter. Submit your work to be featured in Paperwallet’s newest product – The Micro Wallet – and be a featured artist on the Kickstarter campaign page. PAPERWALLET is influenced by the art of origami and visual design. Their goal is to create a unique & functional canvas for artists – to get their work off the wall and into peoples' pockets. With the environment in mind, Tyvek® is their material of choice. Its supreme durability, resistance to water, and expansion over time results in a classy fusion of design and function. 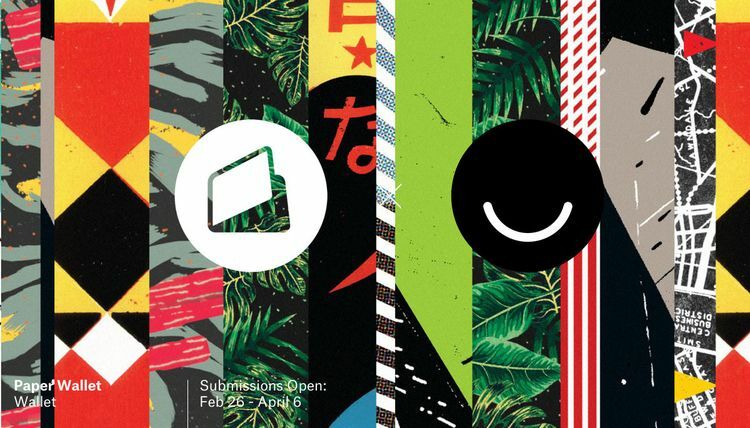 Paperwallet is proud to partner with Ello and offer quality products that remain affordable while still giving back to artists and the environment. Submit your work for the opportunity to sell your works in Fumogallery’s e-shop Product Update 3/6/2018 with a 1-year-long Consignment Agreement, to see your profile under their “Stories” page, and to be promoted on the Fumogallery editorial page and weekly newsletter. FUMOGALLERY is a young online art gallery & design shop based in Italy whose aim is to offer a digital place and platform for artistic projects driven by passion and unconventional moods. All curated works are either carefully selected one-offs or produced in very limited runs – each creation permeates the stories and souls of their creators. Fumogallery’s dream is to give a voice to the stories behind an artistic production or creative idea, whether they are created from brand new materials or from recycled, transformed, and reanimated materials. Fumogallery welcomes submissions in any of the following categories: Art (Photography, Painting, Sculpture, Drawing, Prints, Mixed Media), Design, and Fashion. The international Master Artist Educator (iMAE) from ArtEZ University of Arts in the Netherlands is an innovative and ambitious master program that started in 2016. iMAE represents a new and innovative concept in arts education. 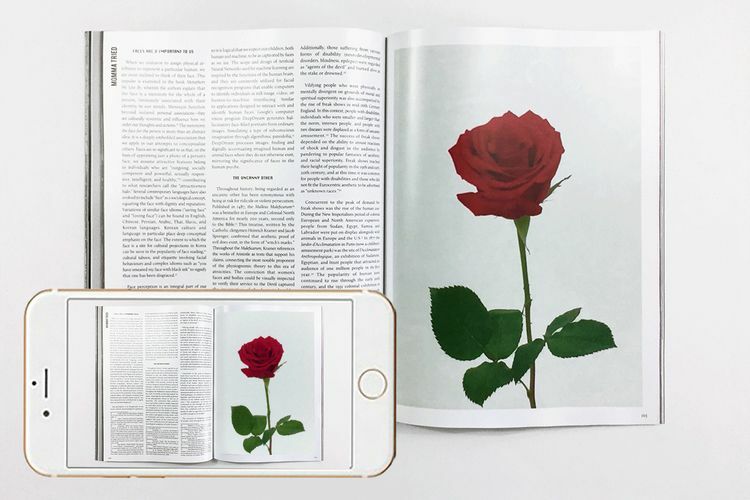 See All This is a Netherlands-based art magazine established in 2016. All renowned art museums in the Netherlands as well as well-known galleries are partners in See All This. The print magazine is published four times a year. The tagline of See All This is ‘For The Love Of Art’. See All This and a group of iMAE students and tutors have teamed up to invite all female creative souls in any visual arts medium to submit work addressing our current patriarchal society, one ruled by men with regards to power structures and individual relationships. Comment today through next Wednesday to win 1 of 5 copies of Issue 3. Marseille-based designer @maalavidaa takes digital art, design and programming to the next level. Read her interview on @elloblog and comment through Thursday and win a print of “STUCK ON THE PUZZLE” by the designer. Netherlands-based graphic artist @peim creates bright, contemporary art with a “minimalistic punk approach”. 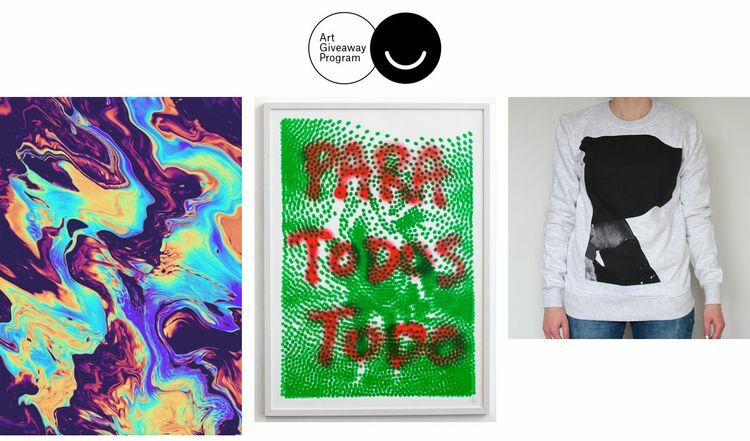 Comment this Thursday through Saturday to win “Para Todos Todo” or “Everything for Everyone” by the artist. Check out more of his work here. Alter ego to graphic artist Maarten De Naeyer, @skrewstudio explores the relationship and “tension between shapes and textures”. Comment this Saturday through Tuesday and win the “Skrew” or “Odyssey” sweater by the artist. View more of his work here. Awesome background image by @hendrelchosen.